A Complete Do-It-Yourself Sign System! 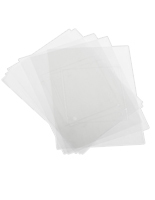 Includes Clear and Frosted Film Sheets for Printing. Comes with (4) Stand-offs for Mounting. Downloadable Design Templates for Word, Photoshop and Illustrator. 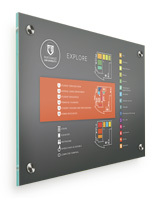 These directory signs add to the overall aesthetics of the environment while providing all of the necessary information. 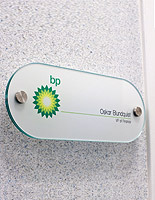 The plaques crafted out of green edged acrylic offers the appearance of actual glass material. 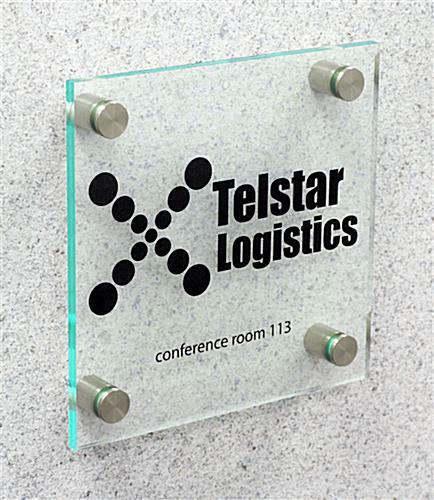 These directory signs, sometimes called wall panels, are available at economic pricing. 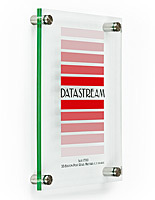 The signage packages are very functional and fashionable at a low price. 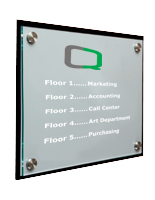 These directory signs can make a big difference within the business! The overall presentation will garner interest. 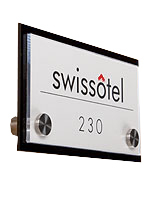 These directory signs, similar to door signs or name plates, are systems with everything necessary for attaching material. Users can put all sorts of information in the holders. 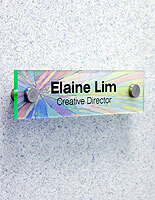 These directory signs will display room numbers, name cards and much more. The interior message boards offer a great deal of versatility. These directory signs work well in hospitals, education facilities and countless other establishments. The displays are very flexible units. 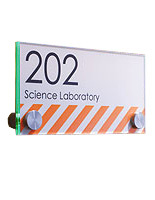 These directory signs, similar door boards, come with two distinct types of printing films: clear and frosted colors. There are three of each type to provide the best coloring for advertisement. 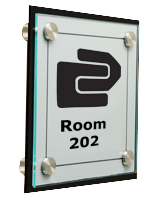 These directory signs are customizable with the templates listed to insert the appropriate logos and messages. 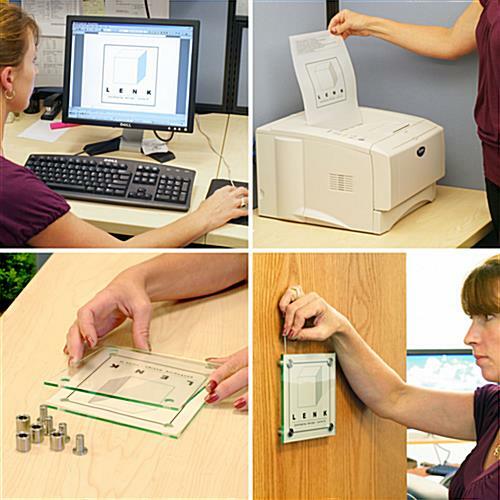 These directory signs require that users carefully remove the 6-inch square from the sheet and place it between the panels on the door or wall. Also included are standoffs crafted from bright stainless steel, screws and the wall anchors necessary for mounting in variety of positions.